YouTube used to stream videos using the Flash video format and Adobe Flash Player. It wasn't until 2010 that YouTube started a HTML5 opt-in trial so that you'll be able to watch a YouTube video with a HTML5 player. Therefore, if YouTube fails to play, it probably has something to do with the YouTube Flash player. The solutions varies according to the platform used to playback the YouTube videos as listed out below; on a PC, an Android-based device or iOS devices. 1. Uninstall the older version of YouTube Flash Player and install the latest one. Download Adobe's official uninstaller here. Run the program and select your correct operating system, and then Uninstall Flash. 2. Follow Adobe's instructions for installing the latest Flash Player for YouTube. 3. 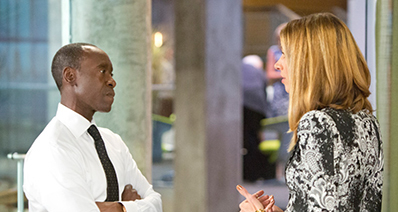 Once you've downloaded the file, quit your browser first, and then install the upgraded version of Flash player. 4. Finally, open your browser again and visit YouTube. You should now be able to watch your videos successfully. Right-click on YouTube Flash player to double-check which version is currently installed on your computer. 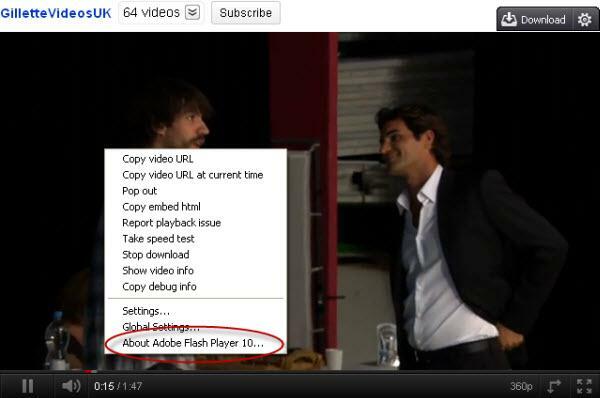 Opt in YouTube's HTML5 trial to play videos with YouTube HTML5 player rather than YouTube Flash player. 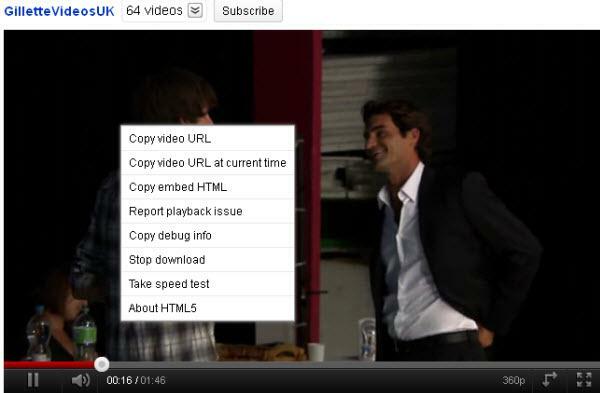 Adding &html5=True to the end of YouTube video URL to use YouTube HTML5 player temporarily. Some users have reported that YouTube won't play on their Samsung Android phones when try to play in HQ, while some others said YouTube won't play due to conflicts with Twitter's app. Here's some solutions to fix such an issue. 1. If you can't play any video (not only YouTube) on the phone after some time, just remove the official Twitter app, issued by Twitter, Inc., and re-install it before you give it another try. 2. If it's only the YouTube videos playback problem, update the YouTube app from the Android Market to the latest version. 3. As For HTC Android phones, try the HTC Flash Player if it exists on your Android. Keep in mind that all iOS devices such as iPad, iPhone or iPod, don't support the Flash videos on website. The pre-installed YouTube app is the only way to watch YouTube videos on iOS devices. The YouTube app works well, but if problem arises, you can try this out. First of all, make sure that your WiFi or 3G network works. Secondly, try to close all the apps that are currently running. Then re-launch YouTube app. Reboot your device if that doesn't take effect. 1. Hold your thumb down on an icon to get them all shaking, then close the open apps. 2. Hold home button plus power button simultaneously for a few seconds to close and restart iOS devices. With these solutions, you'll be able to fix the YouTube Won't Play problem immediately. However, if you still can't play YouTube videos after trying out all the methods, you may want to download the videos to your computer or devices and play with your local video player. With iTube Studio , you are able to download YouTube videos with easy steps. 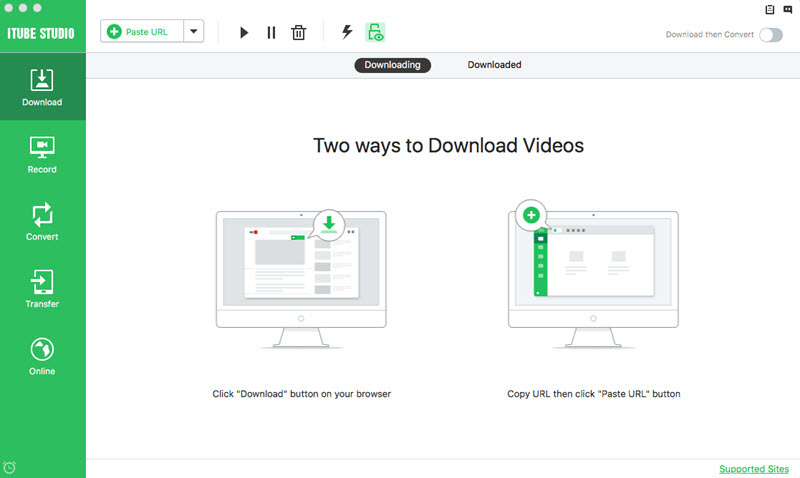 The program will help you to download videos from the video sharing sites with easy steps, and it also helps to convert the downloaded videos if you need a specific video or auido file format. The following guide will show you how to download YouTube videos with iTube Studio in detail. Check it out. 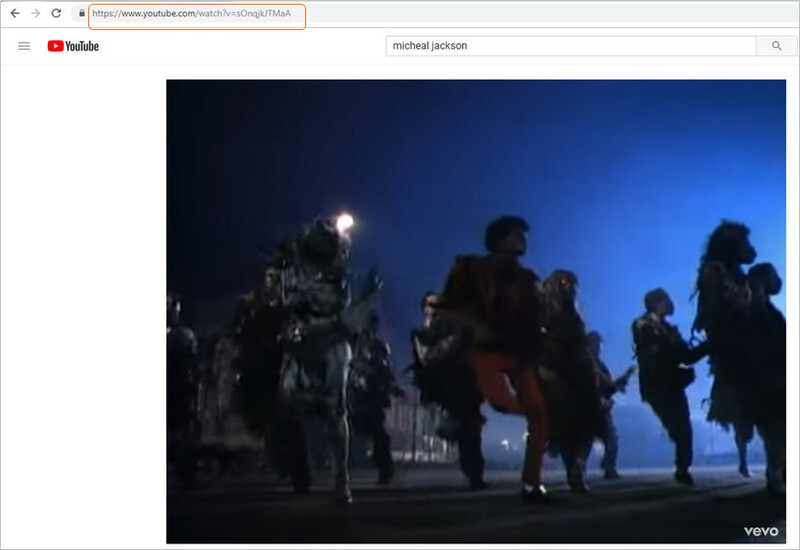 Go to YouTube and find the video you want to download, then copy the video URL in the address bar. Now go back to iTube Studio and click the Paste URL button, then you'll see a pop-up dialog. Select the video quality you need. 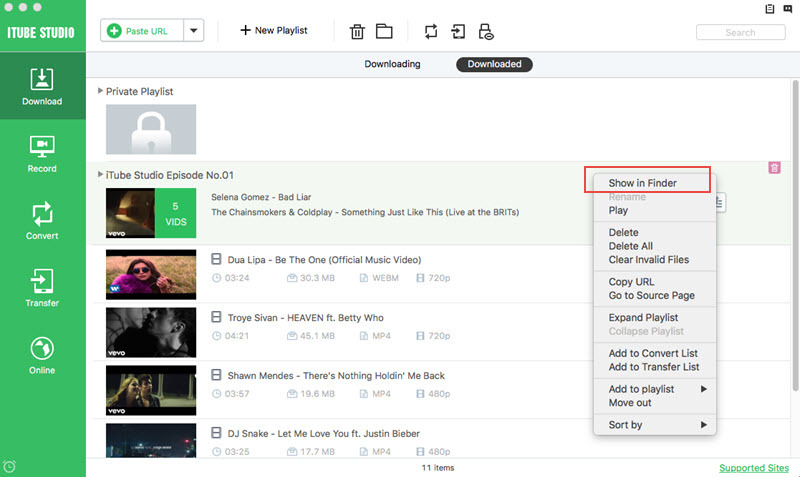 Now you can click the Download button to let iTube Studio start downloading the YouTube video, and you are able to view the downloading process in Downloading tab. 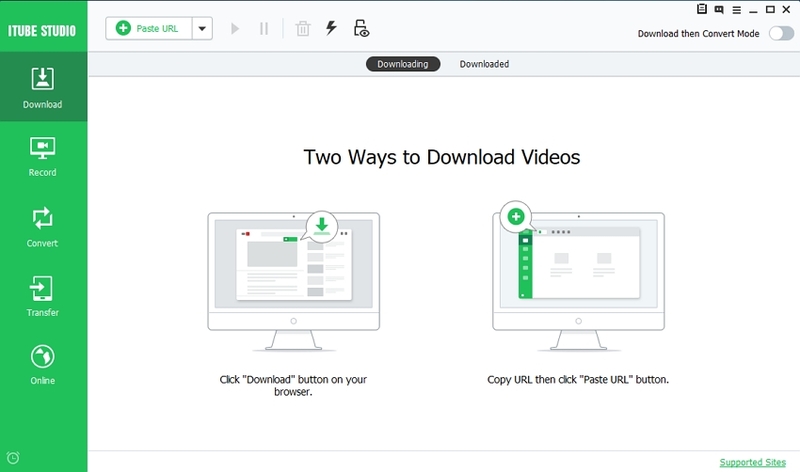 When the downloading process finishes, you'll get the downloaded video in Downloaded tab. 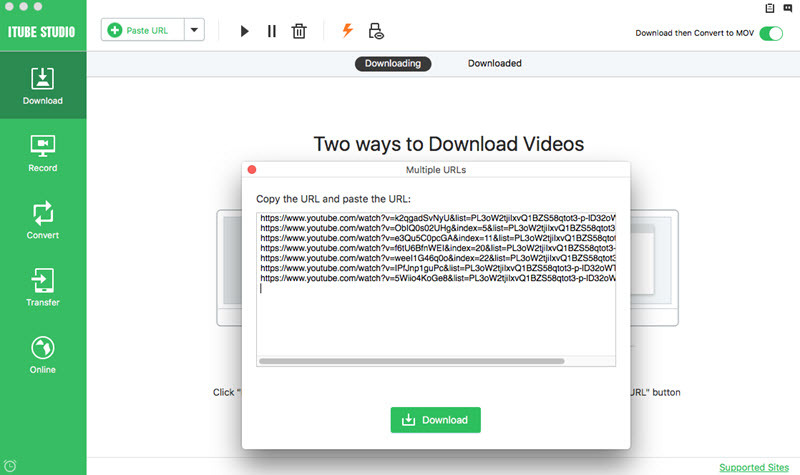 Now you can right-click the video and choose Open file location to get the video in your computer. After that, you are able to play the video with your local video player. That's it. So when you are unable to watch YouTube videos online, you'll be able to save the YouTube videos offline with iTube Studio and watch them without any effort. 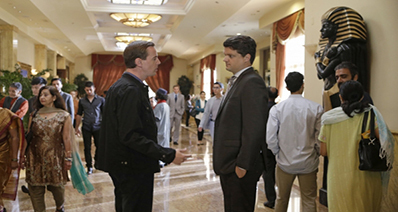 The program can be free downloaded for trial, so if you are interested in this program, just have a try.